So says Jesus to the disciples at the Last Supper (John 16:12) and this is how the Gospel for Trinity Sunday (May 22nd) begins. So much truth captured in so few words. So much truth for faithful parenting, as well. What we want to accomplish, the wisdom we wish to impart, the practicalities we’d like to share, are also constricted by our conversation-partners’ ability to absorb – to “bear them” as Jesus said. The disciples can only absorb so much. Their hearts are open, but there are limits to what even they can receive. So it is with all of us. So it is with our children. Even if we, ourselves, had “all the answers” there is a limit to all the answers that can be received. Parenting cannot be about providing all the answers to our children. Not merely because there’s not enough time, or there’s not enough absorption capacity, but because it is impossible to cover all eventualities or to prepare for every possibility. One of the most-true conditions of responsible parenting is that we are tasked with helping our children grow up to be competent, compassionate, confident adults in a world that we cannot imagine. No matter how much we may keep up with trends, educate and inform ourselves, try to see the big picture as well as the minutiae, there will always be unimaginable unknowable developments for which we are ill-equipped to prepare our children. However, we can teach our children to be resilient and curious. We can encourage them to make mistakes and learn from them. We can be people who engage the world and all its mysteries, challenges, and differences with openness and trust. We can be people who value relationships and seek wisdom. 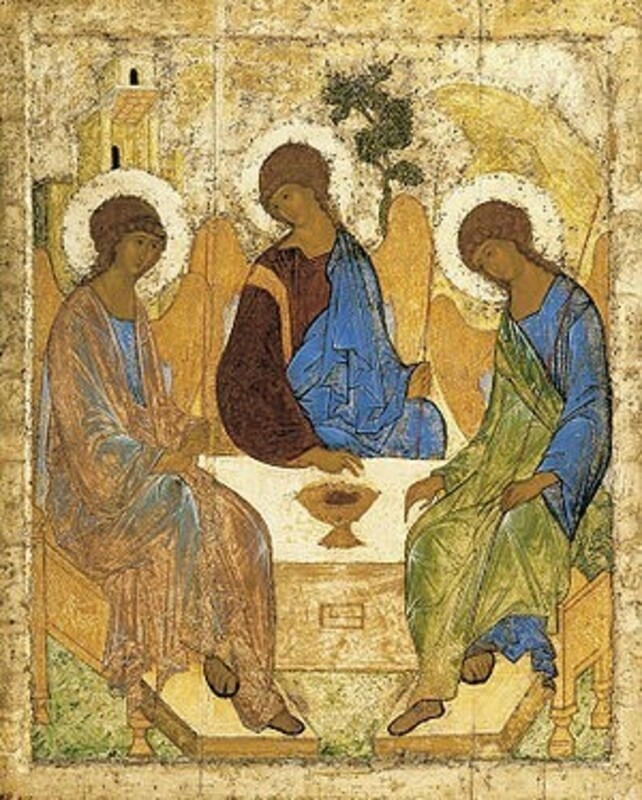 To understand God as Trinity, three in one, “God in three persons” – which Christians do – is to embrace these two characteristics of full and genuine humanity: relationship and wisdom. God is fundamentally God-in-relationship. Our most basic understanding of God is communal. 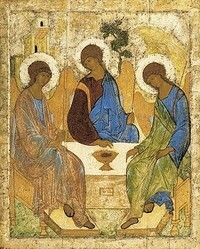 God the Father, Son, and Holy Spirit. “Let us make human beings in our image.” “I and the Father are one.” God the Creator, Redeemer, and Sanctifier. This rapidly gets so complicated that we recognize whatever we say about God is not-God. To understand God, ourselves, the purpose of our lives, the divine creation, is soul-work that never ends. We must always be people who seek greater understanding – who intentionally work to grow in knowledge and wisdom so that we can “bear” more of what Jesus would teach us. Perhaps this is at the core of parenting faithfully? To give our children comfort in their unknowing and openness to relationship? It is all connected – the flap of a butterfly’s wings in Brazil really can touch off a Texas tornado – and human fulfillment is to be found in the gaining of wisdom – which takes a lifetime and a community.